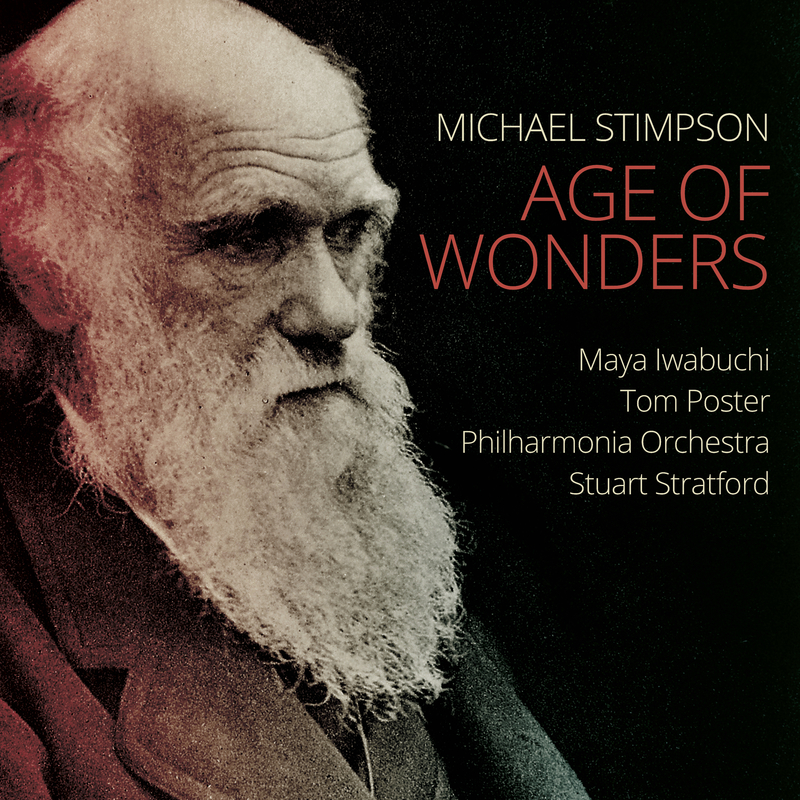 Michael Stimpson Age of Wonders, new from Stone Records, with Maya Iwabuchi, Tom Poster and the Philharmonia Orchestra conducted by Stuart Stratford. Age of Wonders is a meditation on Charles Darwin, whose boundless thirst for knowledge led him to expand the boundaries of science. Darwin's epic discoveries changed the whole way we view the world. Darwin's genius lay in his ability to synthesize knowledge and develop theories based on empirical evidence. Thus The Age of Wonders is a compendium of music and words, taken from Darwin's writings, developed into an ambitious panorama which runs nearly 130 minutes. If the BBC still made music documentaries, it could be adapted for film, with visual images. Historic photographs and scenes shot in the present, perhaps the Galapagos, or the Natural History Museum. Intriguing possibilities, and truly in the spirit of Darwin's questing mind. Age of Wonders begins with The Man who Walked with Henslow, a 20-minute reverie for violin and piano. John Stevens Henslow was a botanist and geologist, who, though a Churchman, believed in fact-based knowledge. He fired Darwin's taste for adventure, arranging his passage on HMS Beagle. The violin poses questioning phrases, long lines that tantalize seductively. The piano answers, at first tentatively, in single chords, then leaping in excited figures, dancing with the violin. Although Stimpson writes in his notes that it's based on early 19th century form, I'd venture not so, for the men involved were ahead of their time, and, in any case, swept away the certainties of the past. Darwin, inheritor of the spirit that inspired Goethe's scientific theories and the Romantic's explorations of the human soul. In musical terms The Man who Walked with Henslow is very modern though it uses conventional language, and is by the far the keynote piece, from which the rest of the material flows. Very good it is, too, and would make a good stand alone. Superb playing by Maya Iwabuchi, well supported by Tom Poster. From this evolves a String Quartet (The Beagle) in two movements, "Outbound" and "Inbound", which describe Darwin;'s journey on the Beagle. The first movement develops ideas from the earlier violin/piano piece, while the second describes a merry sailor's jig. The section titled An Entangled Bank describes Darwin's home at Down House, Kent, and his work on the Origin of the Species, culminating in publication. Scored for string orchestra, it's brisk and busy, as was Darwin's life, no doubt. 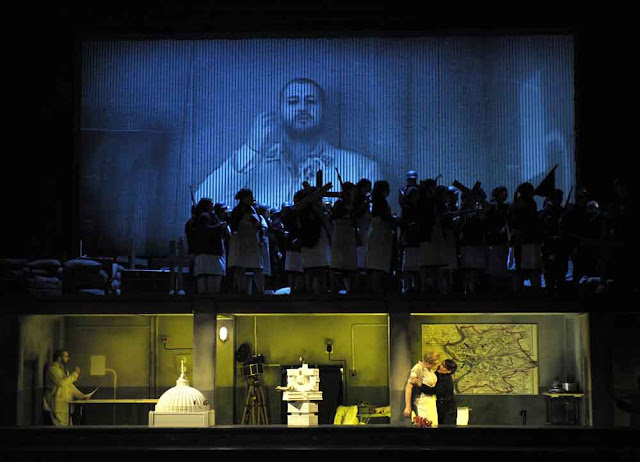 From two instruments to quartet and at last to full orchestra with Transmutations, a four-movement development of previous material, now depicting what might be Darwin's public life. How one might depict the controversy into which Darwin was thrust for challenging the Bible, I don't know. Stimpson doesn't venture into dangerous waters, as Darwin did, but writes atmospheric figures that beg visual illustration. He turns from music back to words with musical interludes. The late Robert Tear reads a passage from Darwin's autobiography. Ruth Padel reads three of her poems on Darwin . At the end, Tear reads Sam Wilberforce's Lines written on Hearing that Professor Huxley had said that he did not care whether his grandfather was an Ape and Padel reads another of her poems, on Darwin's coffin.